Unisex designs for men and women came to the fashion forefront during the mid 1960’s with ultra-modern, futuristic apparel collections from Pierre Cardin and Paco Rabanne taking the fashion world by storm with high-tech, space inspired outfits suitable for both men and women. In the early 1970’s both Yves St. Laurent and Halston reinterpreted men’s fashions for women to great success with their androgynous ready-to-wear fashions for women featuring men’s inspired tuxedos, suits and shirts in modified, feminine silhouettes. Designer Calvin Klein took the unisex format one step further in 1994 with the debut of the fragrance CK1, which was designed to be worn by both men and women. The “shared” fragrance was sold at both the men’s and ladies’ fragrance counters in retail stores throughout the world and became an international phenomenon. Twenty-two years later, unisex apparel is now in the fashion mainstream. Prestigious British department store Selfridges recently dedicated three floors of unisex clothing at its Oxford Street store in London, featuring apparel and accessories that can be worn by both men and women. 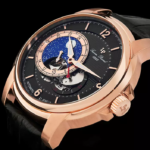 With the popularity of “Boyfriend watches” and bold oversized women’s timepieces, many fashion watchmakers are now offering unisex models that can comfortably and confidently be worn on the wrists of both men and women. Unisex both women and men can share are highlighted this week at WorldofWatches.com with our His Or Hers Unisex Watches You Can Share event. 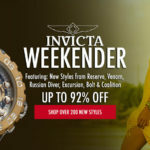 Over 90 popular unisex watches are included in the promotion, including highly sought-after styles from Michael Kors, ESQ Movado, TechnoMarine, Puma, ToyWatch, Mulco and Longines. 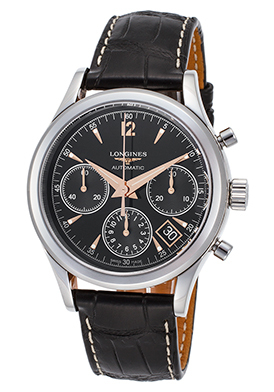 The Longines Heritage Automatic chronograph is an excellent “shared watch” choice. The 39mm diameter case in polished premium-grade stainless steel is presented on an attractive black alligator strap with contrasting white stitched detail. The stationary bezel encircles the black dial with three sub-dials, an automatic date calendar, gold tone hands and hour markers. A skeleton exhibition case back lets you see the intricate Swiss-made automatic movement inside. Features include a scratch-resistant sapphire crystal above the dial and water-resistance to 30 meters. 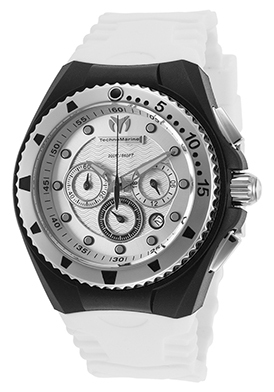 TechnoMarine was one of the first watchmakers to introduce larger scale chronograph watches for women in the late 1990’s and the brand’s Cruise Original Chronograph is an excellent sport watch for women or men. The generously sized 40mm diameter, 13mm thick case in black ion-plated stainless steel is presented on an attractive white silicone strap. A stainless steel unidirectional rotating bezel surrounds the patterned silver-colored dial with three sub-dials, luminous skeleton hands and cabochon dot hour markers. Features include quality quartz movement inside along with a locking screw-down crown and case back for water-resistance to 200 meters or 660 feet. 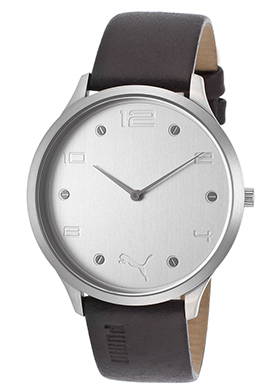 The Puma Slim Rim unisex fashion watch is a cool, casually elegant choice. The slim, slender stainless steel case is presented on an attractive black leather-like strap. The integrated stationary bezel surrounds the silver colored dial with polished silver-tone sword hands Arabic numeral and screw-accent hour markers. Features include water-resistance to 30 meters and quartz movement inside for time-keeping accuracy. Puma watch is 42mm in diameter and 7mm thick. 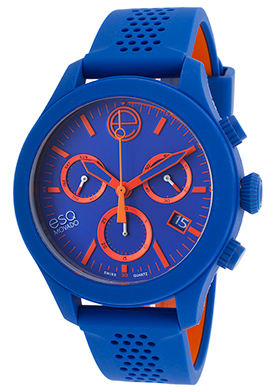 The ESQ One Chronograph in blue and orange is a bright, colorful watch choice of men and women. This Swiss-made watch features the cobalt blue ion-plated stainless steel case is presented on a matching blue silicone strap with attractive pierced detail and a red silicone lining. The stationary blue bezel encircles the matching dial with three sub-dials, an automatic date calendar, orange outlined skeleton hands and baton hour markers. Features include a screw-down crown and case back for water-resistance to 100 meters and Swiss quartz movement inside for precise time-keeping accuracy. ESQ Movado watch is 44mm in diameter and 13mm thick. 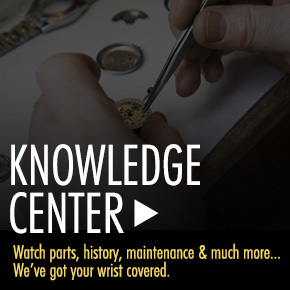 Free shipping and free returns are included on all domestic men’s and women’s watch purchases within the continental United States at WorlofWatches.com.